I Am Mike D: Happy Birthday to Clyde! 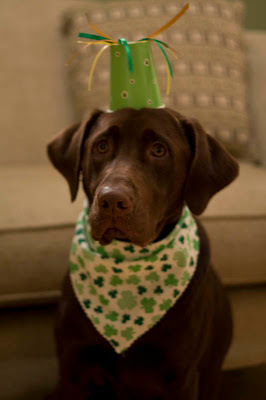 Clyde celebrated his first birthday yesterday on St. Patrick's Day. BTW, Carrie did the decorating, I took the pictures. Poor dog just wanted a treat. lol thats really cute! 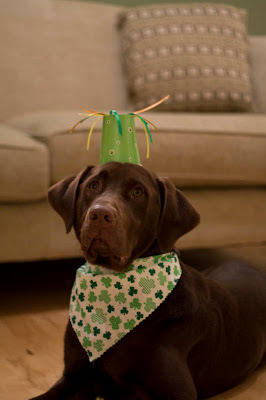 Sassy's birthday is on St Pats day too. Random. Come on, how cute is he? I promise not to dress him up ever again- 1st birthdays are something to celebrate!